I love music. Of all kinds! My iPod has everything from pop to alternative to EDM to classical, and everything in between. Live music takes the experience to a whole other level; there’s something about the energy of the crowd that I just find infectious. 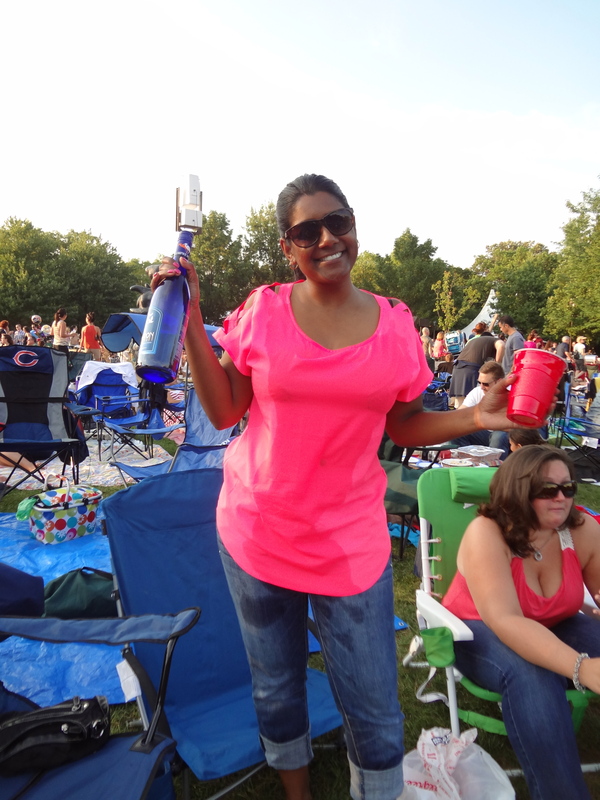 So when a coworker told me about Ravinia Festival, I knew I’d want to check it out! 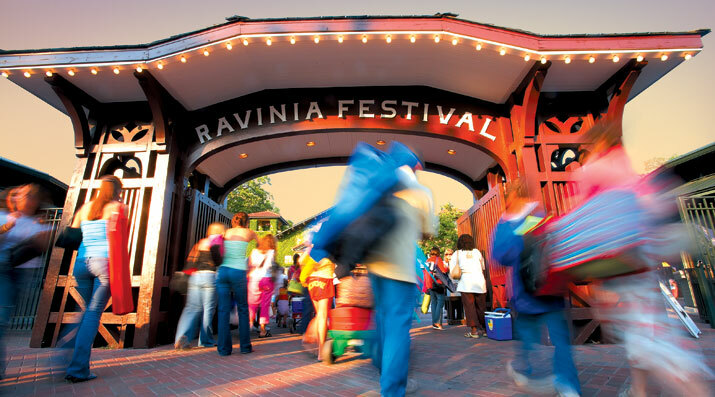 Ravinia is the oldest outdoor music festival in the US, hosting a series of summer concerts and performances. 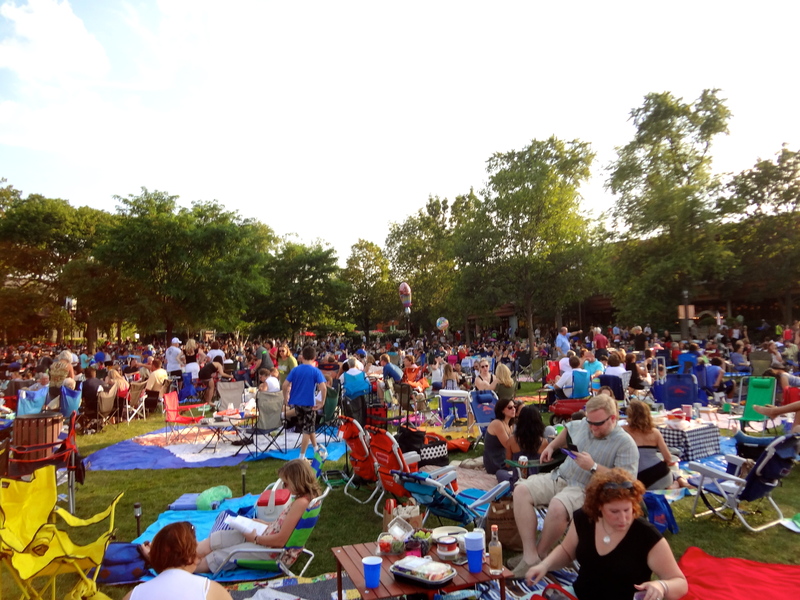 The eponymous festival takes place in Ravinia Park, located approximately 25 miles north of Chicago. With a 3,200 seat pavillion in addition to a 36 acre park, there are multiple concert-going options. 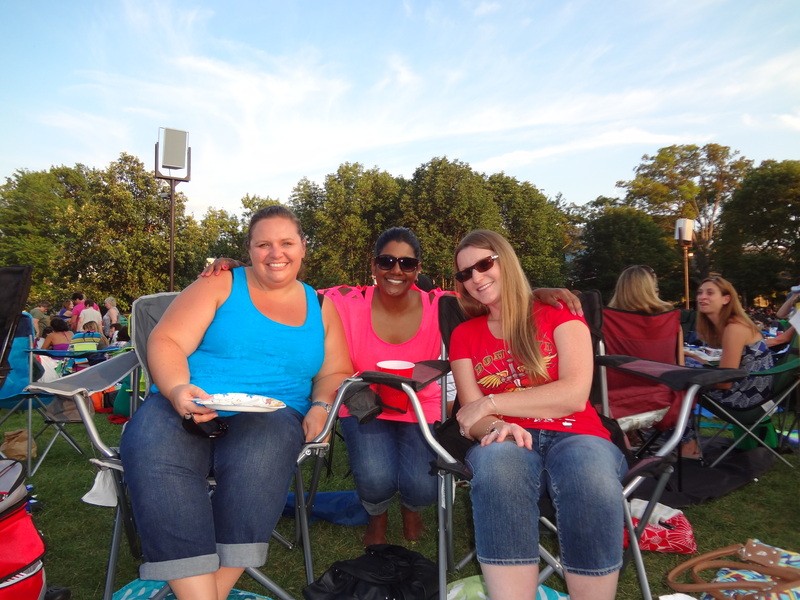 A few weeks ago, some friends and I went to see Journey and opted for lawn seating. But this wasn’t your typical lawn seating. I met Kimberly and Renee nearly 9 years ago, through our mutual friend, Jen. Who’d have thought back then that I would end up moving to Chicago?! 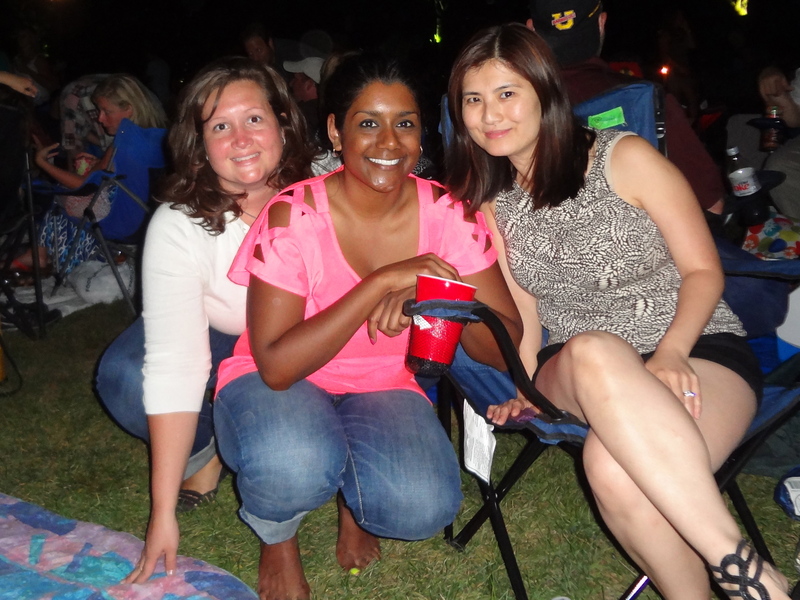 Ravinia concert-goers go all out! We came prepared with chairs, a blanket, and plenty of food and beverages. But as you can see from these photos, we were upstaged by many of the other attendees. There were wooden tables, candles, and even chandeliers! Some people went all out and pre-arranged a catered buffet spread! Don’t worry, we took plenty of notes for next time! But we still had a blast. And celebrated Renee’s birthday! 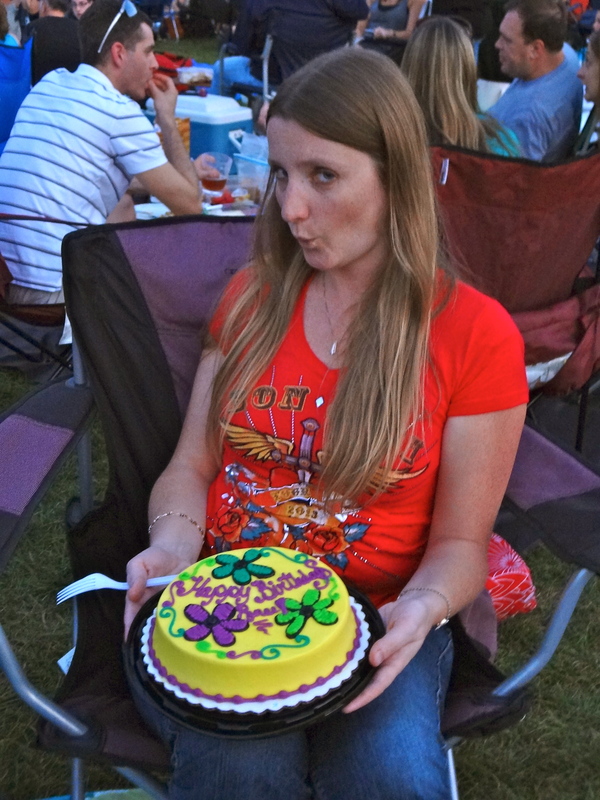 This was the most delicious cake ever. I think Renee was trying to keep it all for herself! Moments after a wine catastrophe that had me soaked from head to toe. I swear I was stone cold sober when this occurred… I’m just naturally graceful like that! And of course the music – amazing! 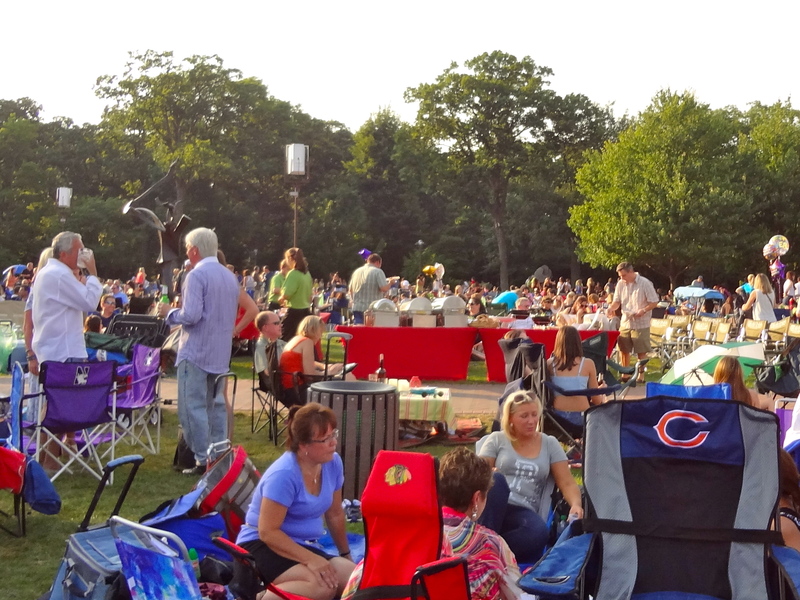 Ravinia has an amazing sound system, so the instruments and vocals are crystal clear, whether you’re front and center, or enjoying your picnic further away. It’s the perfect concert venue if you prefer a more laid-back experience. It was really nice to sit back and relax with friends over a glass of wine while listening to some great music; a beautiful summer night! With my coworkers/friends Nikki and Ai. Ai and I were both in grad school together over a decade ago, and she introduced me to Nikki. As it turns out, we both worked at the same company in NJ for years and never met until we both moved halfway across the country. Small world! What concerts have you been to this summer?